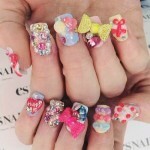 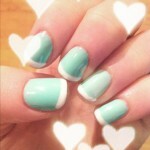 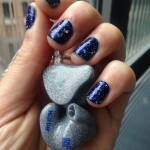 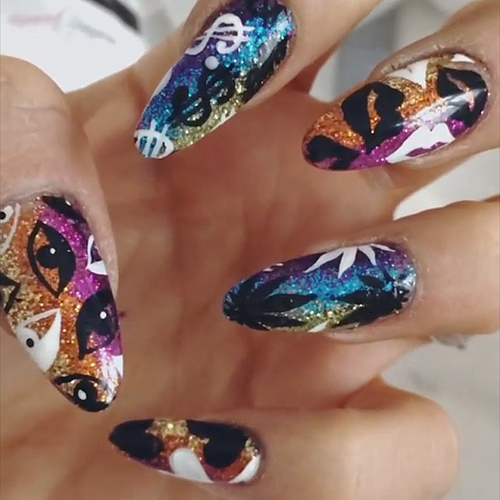 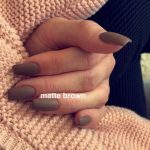 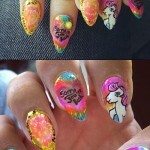 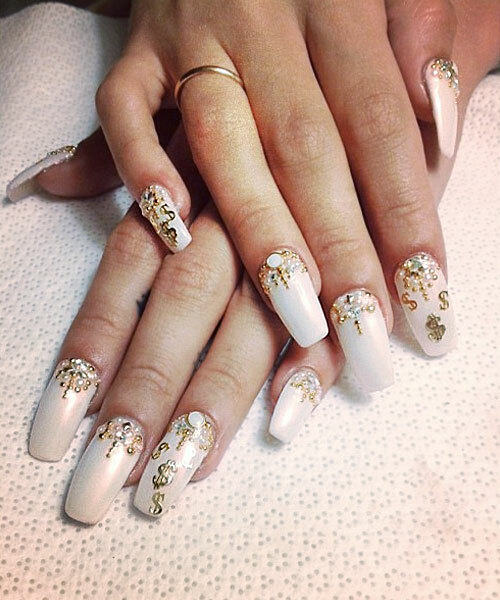 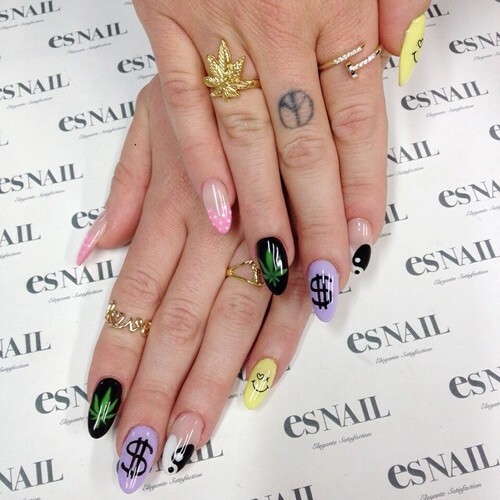 Lily Allen had her nails painted by Naomi Yasuda with a glitter ombré. 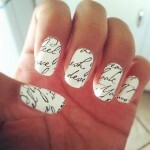 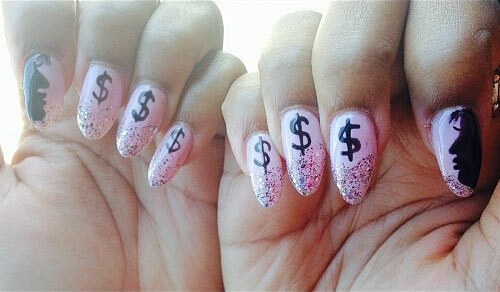 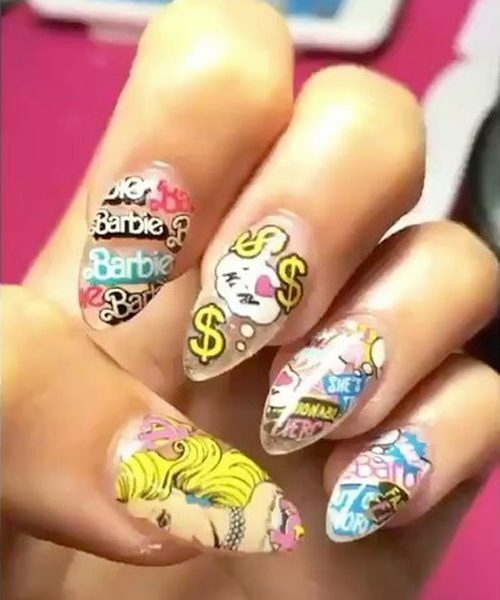 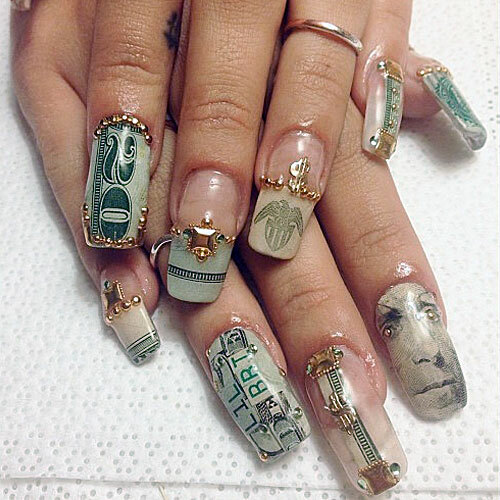 Each nails was covered in black and white shapes: eyes, dollar signs, lips, marijuana leaves, and hearts. 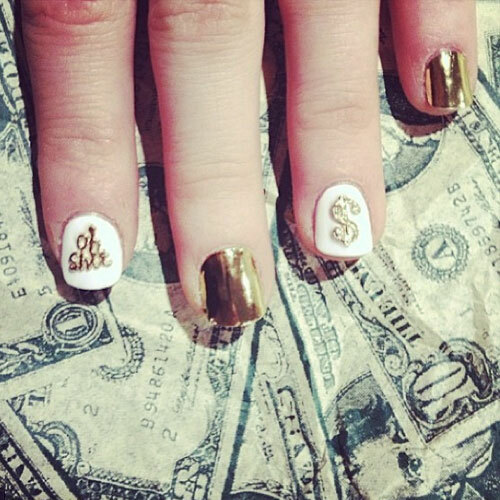 Rihanna’s golden nails with a gold dollar sign charm on her pinkie at the 54th Annual Grammy Awards at the Staples Centre in Los Angeles, CA on February 12, 2012.